What Can Be Done To Improve Parent-Teacher Communication? It’s not that high school English teacher Mike S. is opposed, exactly, to communicating with the parents of the kids he teaches. It’s just that the idea of calling or emailing parents directly, in the absence of a compelling need, seems unnecessary. “It if ain’t broke, don’t fix it,” he explained. Also, the private school where he works uses an advisory system in which students have an adult adviser who serves as the go-between for teachers and students. He avoids sending even friendly emails to parents. As it turns out, parents feel much the same. “With the boys, my first reaction was generally, ‘Uh oh, what did he do?’ ” said Sarah Sangree, mother of four, about her gut response to a teacher phone call. There was no distinguishable pattern to teacher communication -- some teachers never communicated at all -- so the few times she did get a message, she assumed the worst. “I figured no news was good news,” she added. This failure to communicate between teachers and parents appears to be the norm. In a 2012 study conducted by the National Household Education Surveys Program, 59 percent of parents with children in public school reported having never received a phone call from a teacher. A mere 49 percent of parents who had been contacted by school staff reported being “very satisfied” with the exchange. And although more parents received emails from schools than they had a decade before, much of that increase went to families living above the poverty line. Matthew Kraft, who carried out the research, calls that discrepancy an “income-based email communication gap,” one of many holes in the ways teachers and parents exchange information. Kraft is an assistant professor of education and economics at Brown, and he has spent years studying the lapses in parent-teacher communication. Students suffer most from the lack of quality communication between the two camps, Kraft says. “Our intuition that teacher communication with parents is a good thing is exactly right,” he told me. Several studies corroborate that claim. In a recent project on “light touch” communication between teachers and parents, Kraft and co-author Todd Rogers found that at-risk high school kids performed better when their parents received a short email at the end of the week that identified student trouble spots and offered specific, actionable information on how to improve. In another study conducted during the summer at a charter school, Kraft and colleague Shaun Dougherty found that regular phone calls home immediately improved a child’s attendance, behavior and class involvement. If better communication is so effective, why don’t teachers do it more? “Implementation barriers” are the first hurdle, Kraft says, including defunct email addresses and phone numbers, language barriers and outdated address books. Even more troublesome is the absence of norms, in most schools, on the frequency and content of teacher-parent communication. “There’s no clear expectation on best practices, or what that communication should look like,” he explained. The limitations of the clock also factor in: Teachers in large public schools who might be teaching as many as 150 kids a day are hard-pressed to find time for meaningful one-on-one communication with parents. “It’s not sustainable for all teachers to use parent calls,” Kraft said. Despite obstacles, schools can do much to help teachers contact parents, starting with establishing norms for communication that defuse built-in tensions and make allowances for teachers’ time. Having a communication policy that asks teachers to contact parents monthly, say, would subvert parents’ expectations that a phone call from the teacher means trouble at school. To make outreach more attractive to teachers, schools need to make communication central to the teachers’ work, not just an add-on to their growing list of responsibilities. In practice, that means making time during the school day for teachers to contact parents, Kraft says. As well, teachers need guidance on the content of those messages and how to say them. And what works for one school won’t work for all, Kraft cautions. None of this will be easy. And low-income schools with underachieving students have an additional challenge: These parents can be the hardest to engage. Kimberly, who taught English for three years at a low-performing charter school in New Jersey, said she had to chase down parents to share feedback. “I never had a situation where parents were too involved,” she told me. On back-to-school night, the first opportunity for parents to talk with their children’s teachers in person, just a handful of parents showed up. In Kraft’s own experience teaching in Oakland and Berkeley, he found much the same: “The parents you most need to talk to are the least likely to come,” he said. As for the most underused and promising form of parent-teacher communication, Kraft is clear: It’s texting. “It’s not a rich technology, but it’s a mode of communication that’s the least utilized, with the highest upside,” he said. Texting allows senders to “push” information out to recipients. The ubiquity of phones, even among low-income families, makes them a convenient portal for transmitting vital news, allowing teachers to reach parents with individualized messages. The space limitations that texting imposes, furthermore, encourage quick and direct messaging from teachers. Even simple instructions like “needs to study for test,” or “attendance has slipped” -- some of the “light-touch” messages that produced good outcomes in one of Kraft’s studies -- can be useful. And teachers who text might consider doing the following: alternate positive reinforcement with suggestions for improvement; remind parents about important assignments and upcoming tests; fill in parents on what students are studying in class. 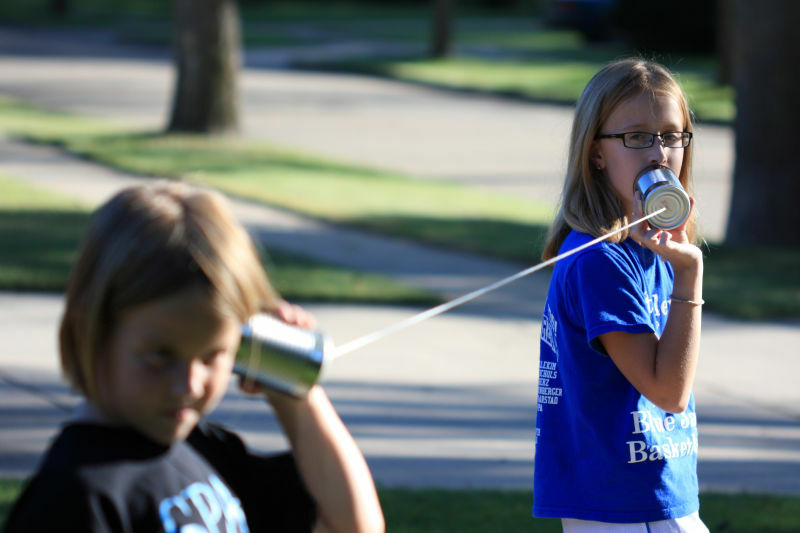 “The combination of our collective wisdom about best practices, on top of the growing body of research on communication, suggests that schools should invest in formal communication systems,” Kraft says. For some teachers, of course, communicating with parents comes naturally, system or no system. “I talk to parents all the time,” said Marcy Rosner, a history teacher in Oakland. “My students know that I have a relationship with their parents, which gives them a sense of accountability." Conflict in the classroom diminishes as a result, Rosner said, though the routine communicating devours her free time. Still, she believes that connecting with parents is crucial for the well-being of her students because it builds a support net for the kids. “They have a community of folks who care about them,” Rosner explained.